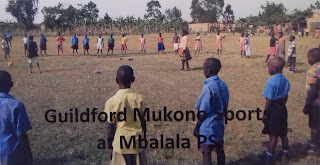 The Guildford Mukono Link Trustees have agreed to send £500 to Mbalala School for water harvesting in response to the plan and budget received from Douglas Kizausi. 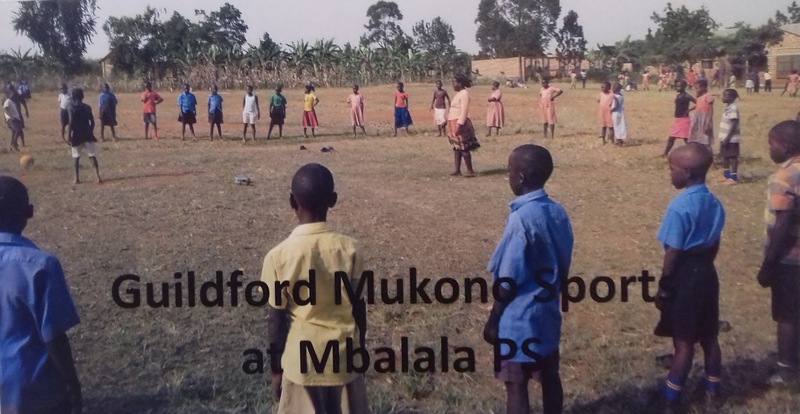 Alistair Parsons, the headteacher of Worplesdon Primary School in Guildford is fund raising to support two children through school at Mukono Boarding School. The plan is that each year group will will fund one child in the future. 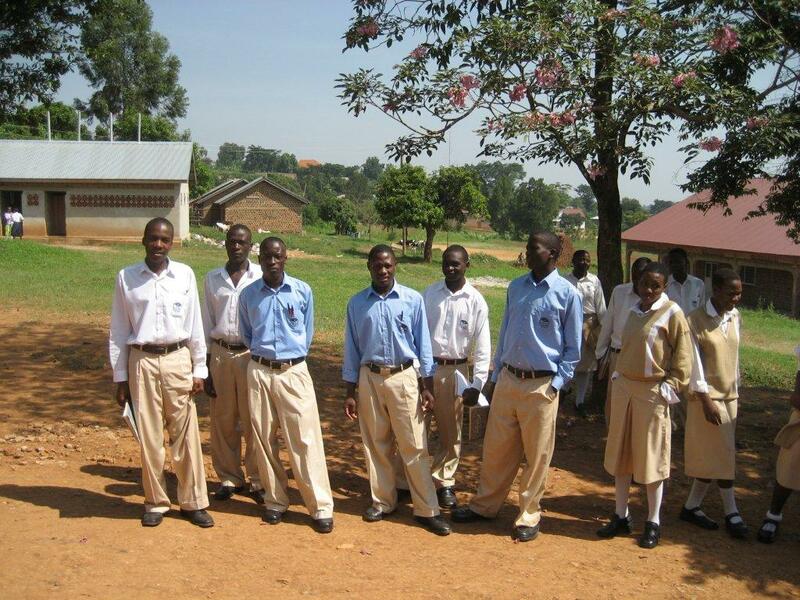 He writes: "We are hugely proud of our very strong links and relationship with Mukono Boarding School in Uganda. 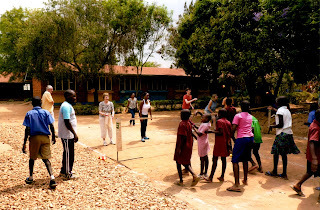 Starting under the Guildford-Mukono link, for several years now Worplesdon Primary has welcomed leadership and staff visits to the school and our homes, and have likewise been fortunate to receive the hospitality of the school and families in Uganda. So proud, in fact, that you'll see a top level link in our site navigation, and a button below, so that you can read more about how we have helped them, and they have helped us!" 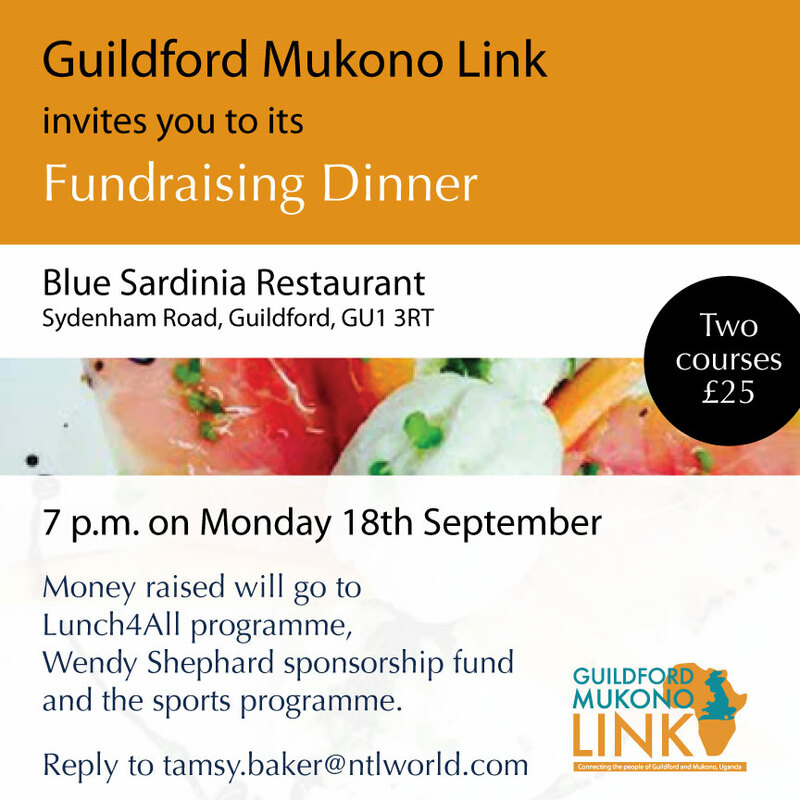 On Monday we held a fundraising dinner at Blue, a Sardinian Restaurant in Sydenham Road, Guildford. We were treated to a most imaginative 3-course meal served at this new restaurant. Forty-five people attended and we raised over £1000! 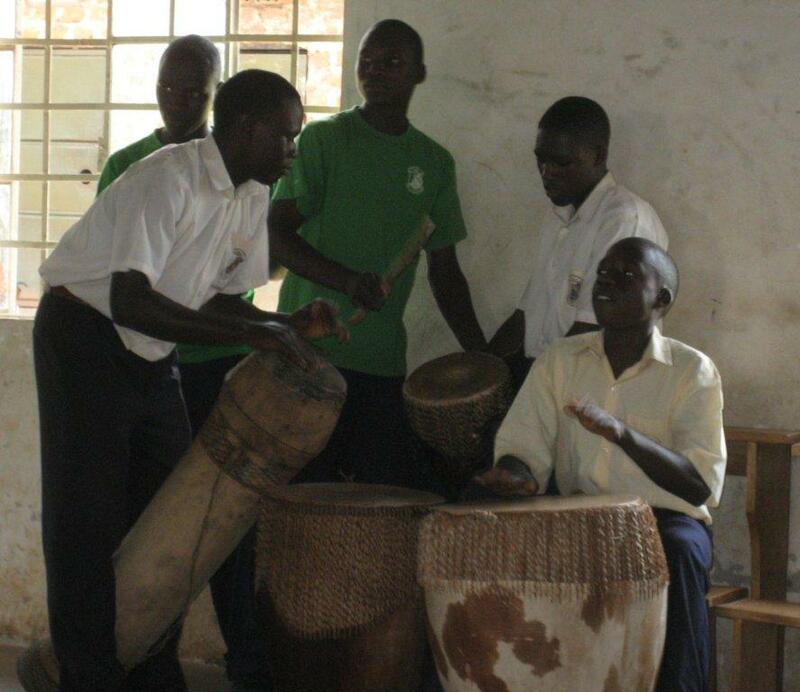 Great news that St Charles Lwanga Bukerere Secondary School, Mukono, is now linked with Guildford County School. St Charles shares Guildford County School's commitment to teaching music. St Charles School also teaches dance. Sue, one of our Trustees who visited St Charles School, remembers the commitment of the school's headteacher. The school has also developed a garden on a 600 square meter plot of land. It was started in 2013 and is cultivated by the children. They grow bananas, paw paws, beans and maize. 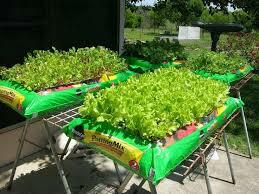 They utilize a seedbed and most seeds are purchased. They use the soil from the rubbish pits as compost in the garden. The garden is designed to control water and soil erosion. The water used in the garden is from a well and rainwater. The garden is well-fenced in order to control unwanted access to it. Most of the harvest is eaten at school by the children. 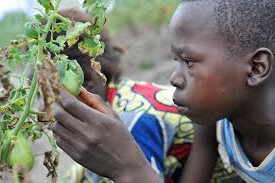 The greatest challenges of the garden are the pests that are rampant and that destroy the crops, such as maize, and the limited time that the children have to look after their garden. Members in Guildford were very disappointed about the visa applications from Mukono High School being refused. We had been hoping that everyone would have been able to attend our fund-raising dinner on Monday 18th September. 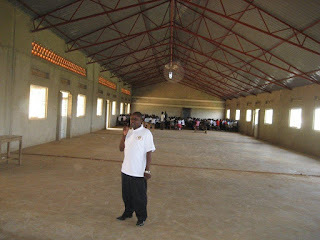 Edward Kaweesi is the head teacher of Lutengo United Seconday School. Lutengo United Secondary School is located in Mukono District - Nnama Sub–County in Uganda. Vision: To have committed hardworking and progressive youth in the society. Mission: To produce obedient, enterprising and self sustaining students. Our motto: So little yet…. 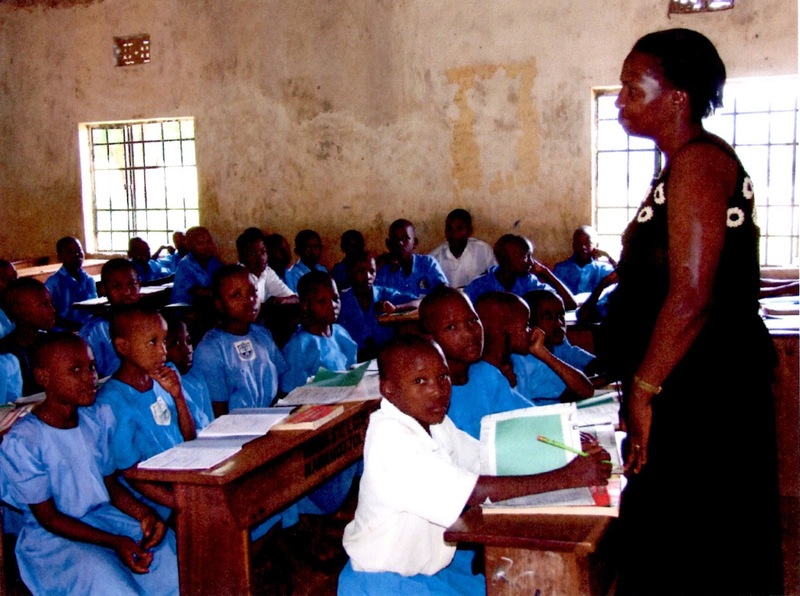 It is a community–based school that was started by experienced teachers in 2000, who realised the scarcity of secondary and vocational education in Nnama sub county at the time. 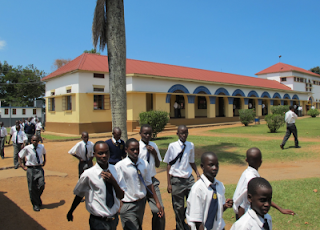 Currently the school has 320 students and runs from form one to form six (ages 13 years to 19 years). Of course, some of our students are a bit older because age doesn’t correspond with class in Uganda. 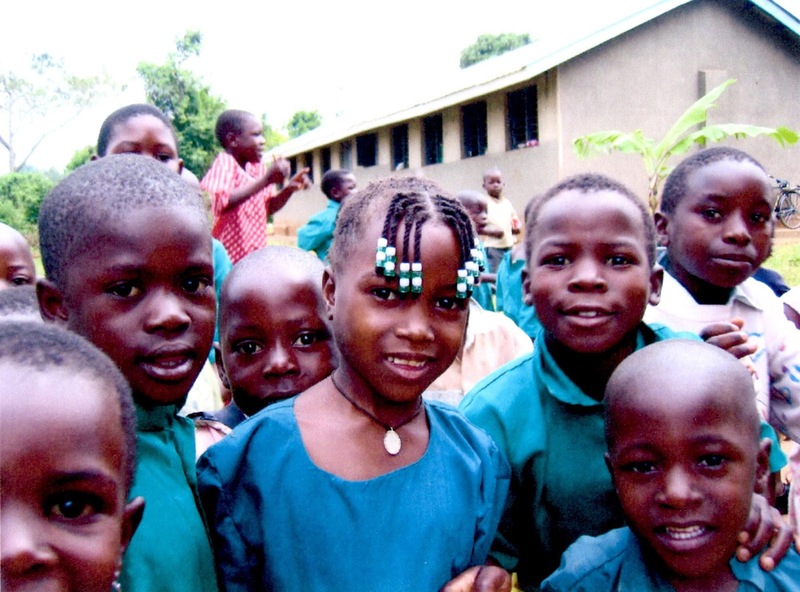 We are a mixed school and some of our students travel in each day from their homes while others live in the dormitories at school. 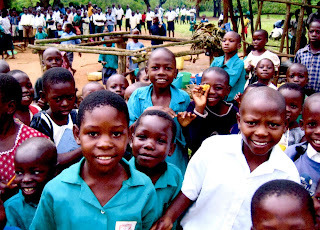 Many of our children are either orphans or needy because we are located in the rural area to serve the rural poor who cannot afford posh education in the towns. Since 2006, we have been beneficiaries of the Guildford–Mukono link and we are grateful to the past and present board of trustees. We benefited in infrastructure development when we were assisted to put up a four-roomed class room block and a boys’ and girls’ dormitory. We have also seen the Guildford Mukono Link finding sponsors for five of our former students who have all graduated and are doing some good work in society. Though still young the three girls and two boys have already started some enterprises to serve the community. 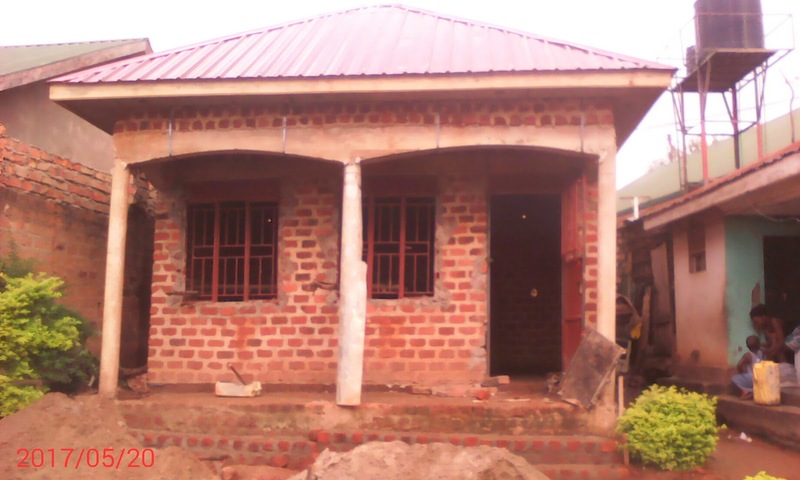 There is also a staff house which we are putting up at the school with the assistance of the Guildford Mukono Link. The reason is to save on teachers’ transport costs and also enhance student discipline on the part of the boarders. The students of St. Peter’s Catholic school in Guildford fund raised for us to build a chicken house to enhance chicken rearing skills by providing both practical and theory to our students as a future vocation. 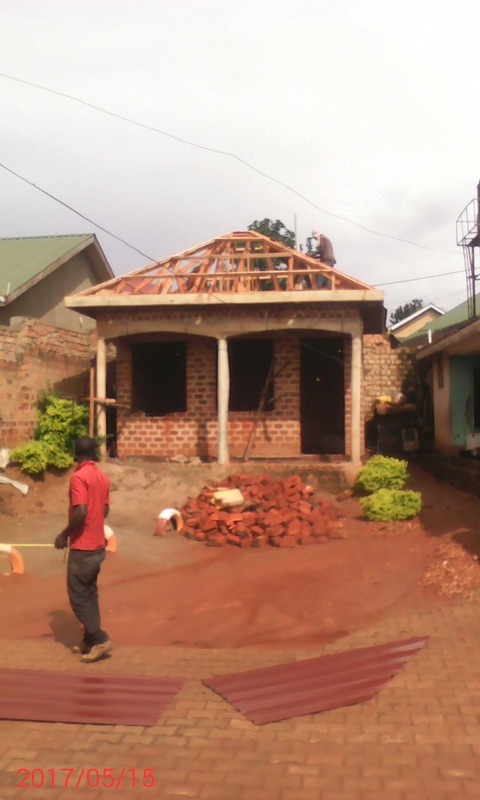 The building has been roofed but not yet completed. My gratitude goes to the school administration, student, their parents and the link for what we have achieved so for. While it is a story of successes, there are challenges as well. 1) We would like to complete the staff as soon as the funds allow. 2) The rearing of chickens at the school for skills’ development and income generation which is still a dream. 3) We still have a problem developing our games. This is an area that requires some investment in form of kits and balls. Our students have talents but are unable to develop their talents because of their poor background and our school's limited resources. 4). As we expand we shall also require a games field. We have the land area but not the funds to develop it. As a young institution new challenges keep coming up but for the moment this is our priority list. As a school, along with other well-wishers, we are convinced that we shall overcome those challenges sooner than later. Julius Mukwanya is the headteacher of Mukono High School. Dorothy Nakintu is the Head of the Sixth Form and Frederick Balenzi is the Sports Coordinator. I was very impressed by the knowledge the teachers brought to the workshop. Mercy, from Busenya, brought a banana 'bowl' and a banana tree and showed how suckers could be cultivated. Mercy showed how drainage ditches could be placed to collect the most amount of water. She also described how manure can be made in pits. Douglas explained how fertilizer can be made by fermenting tree leaves. Busenya's farm should become a model farm. Advice is given by a Governor and the children will be very proud of what they have achieved. St Andrew's School grows food in grow-bags. Hoes - at 1,000 UgX each (£0.21 in British money). Forked hoes - at 20,000 to 25,000 UgX each (£4.20 in British money). Rakes - at 15,000 UgX each (£3.15 in British money). 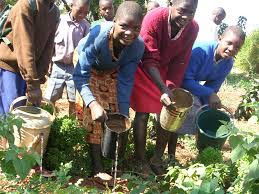 Watering cans - at 10,000 UgX each (£2.10 in British money). Spades - at 10,000 UgX each (£2.10 in British money). Spray cans - at 60,000 UgX each (£12.60 in British money). 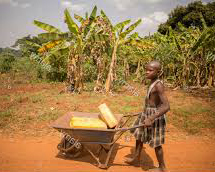 Wheelbarrows - at 60,000 UgX each (£12.60 in British money). A one-off supply of seeds would kick-start LunchForAll. 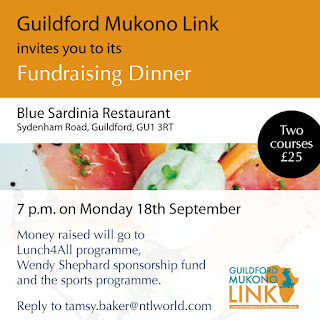 All supporters are invited to our annual fund-raising dinner in Guildford. It will be a great opportunity to meet other supporters and to hear about the many developments we have supported in Mukono schools. and the school farm and even the cow as well. new system and we want it to be a success. We are hoping to get some new footballs to you. 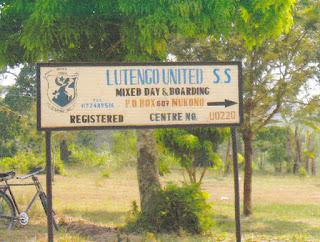 Alison Hall, from Seeds for Development, writes: "I went to Lutengo United Secondary School this morning. It is the holidays so no-one was there. 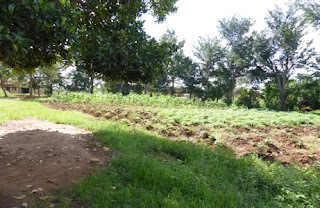 They are growing maize and sweet potatoes for the children. Douglas wasn't at the school so we went to his house to find him. 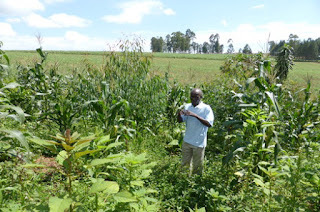 He had planted twenty eucalyptus trees from the project and all were doing well in his compound. He was just back from the District Sports, where Mukono came 11th out of around 63 districts. 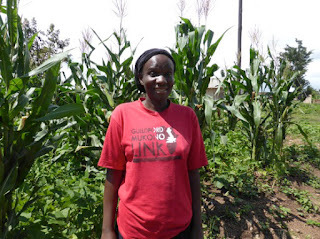 Next from Douglas to Edward, via the sugar cane, where we met this woman wearing one of our Guildford Mukono Link t-shirts. The chicken house we subsidized now has a roof, and Edward is hoping to add some chickens soon! He said that he struggled with the rafters but has put them in now. This is the bore hole that we have both made happen. Tamsy contributed to replacing the broken plastic pipes with metal ones. 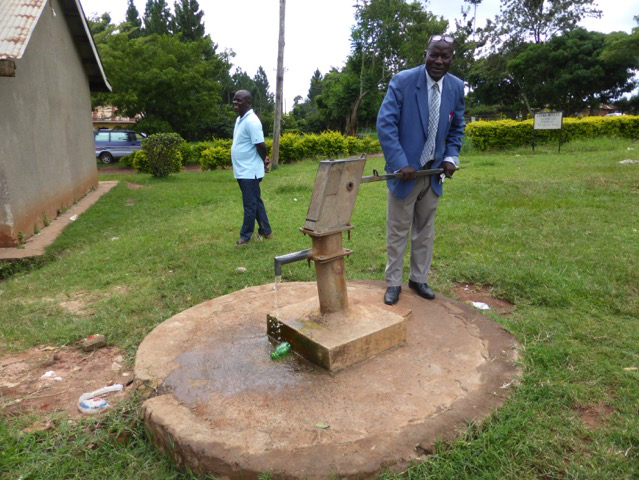 Alison funded the fixing of the hole and, when we tested it, it was working beautifully!" 'International' recognition must be an initiative to get schools in different countries to work together and understand each other's cultures through projects worked by each school. 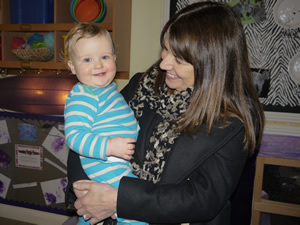 Tamsy met with Milo, the teacher at Guildford County School with responsibility for the Link at Guildford County School. Milo is keen to make Guildford County school an 'international' school. He had hoped to plan this work during the visit of the headteacher of the partner school but the headteacher, Julius, and his teachers failed to get visas. "Jessica informed us the week before their arrival date, 29th June, that they still did not have their visas." The visas were expected on 27th June. It seems that Julius only applied for the visas on 6th June, leaving no time for appeals. Tamsy had sent her invitation letters in February but has discovered recently that much more information is now required, like proof of her address and ability to financially look after them. The reason for refusal seems to be that Tamsy could not guarantee that they would return to Uganda. She feels ashamed of her country for taking such an attitude but, unfortunately, that does not help the situation. Julius informed her on Wednesday that the visas had been refused, and, sadly, the visit will not now take place. Alistair Parsons, the headteacher of Worplesdon Primary School, near Guildford, has told us that his school will be fund raising to pay the school fees of two children at Mukono Boarding School. The school plans that each year group will fund one child in the future. 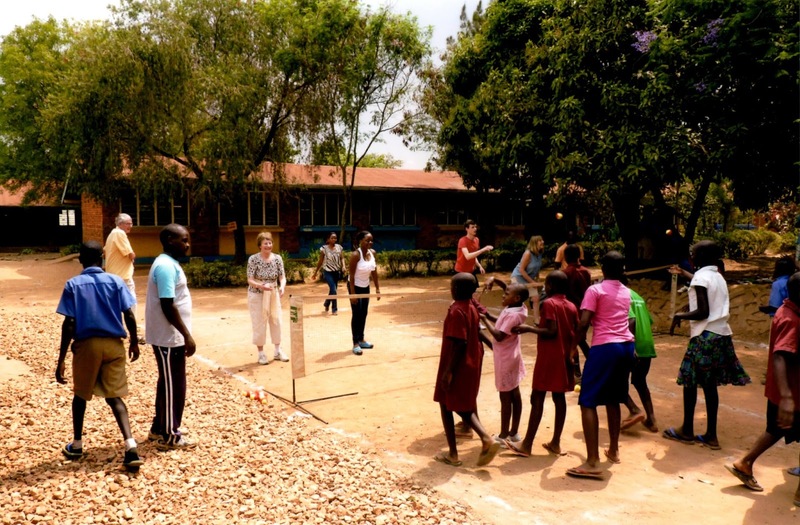 'In 2009 we were looking for an opportunity to make a partnership with a school in a different part of the world with a completely different culture and environment so our children could learn about and appreciate the differences and compare the cultures. Through the Guildford-Mukono link I made contact with Susan Wamala the Head of Mukono Boarding School. 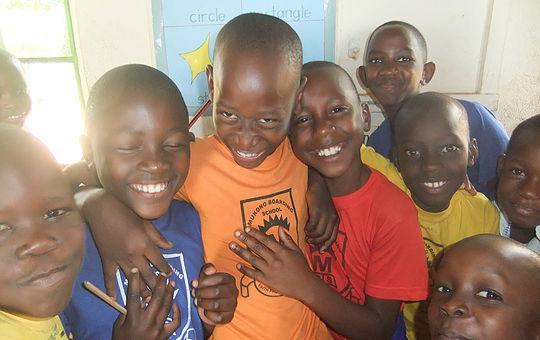 This was the start of an ever deepening relationship where the children have been motivated to help improve the facilities at the school, learn about the region and the lives of the children that live their and exchange letters and information. 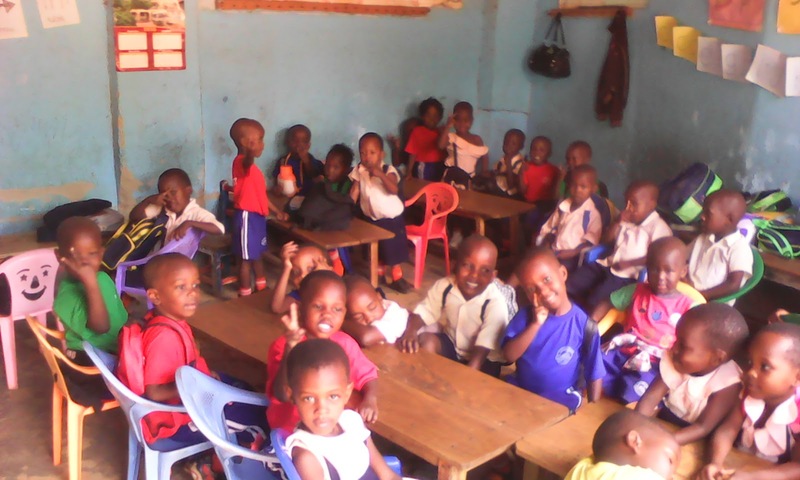 Some good news is that the Nursery and Preschool Major Minors in Godalming are to Link with the Crane Academy for Infants in Uganda which Bridget has started. 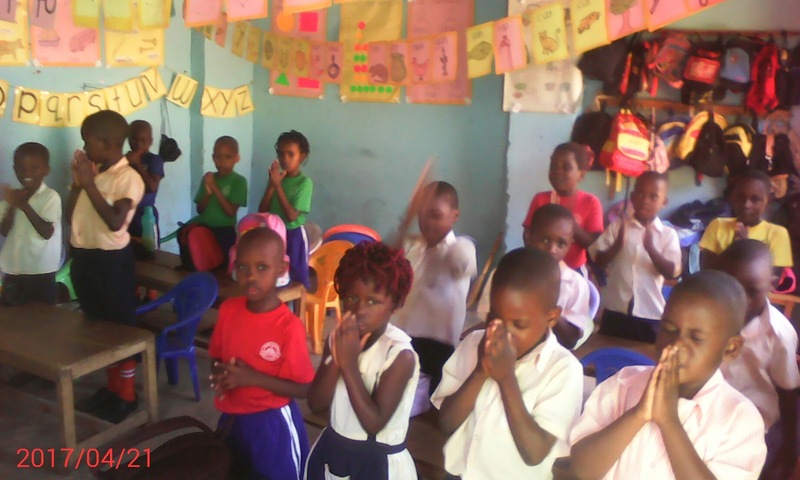 Namawojjolo and St Kizito schools have been running the Sports Programme. Both schools have asked for balls and I expect Mbalala school will need some too. The programme can only run if there are an adequate number of balls. If there are 12 teachers and each teacher needs 3/4 balls, we may need to find the money for up to 36 balls. As the first step I will ask how many balls are usable, then we can decide how many we need buy. I will ask Lawrence to send us some prices so we can make a decision on how many we can afford. Chair of the Guildford Mukono Link. Our committee in Mukono raised two main concerns that affect children directly. The first is that many children do not have lunch which affects their academic and physical development so we have developed the Lunch4All project. The other problem is that many children drop out of primary school as families can't afford the fees, books, lunches and uniform. We were initially given money by a Supporter to set up The Wendy Shephard Education Sponsorship Fund in memory of her mother and in this first year we are sponsoring ten children. We are now looking for new Sponsors so enable more children to benefit. The cost is £85 a year per child. "I therefore decided to establish a health unit"
I did not want to tell you until I have achieved what I really wanted in my life. This is how I got it after spending three years on the street without the job of my dream. I got a loan from the bank with the help of guarantors. When I received this money I started a business, then operated it for two good years. During all this period I was keeping the profits which I eventually used to buy land in the Luweero district of Uganda in 2016. 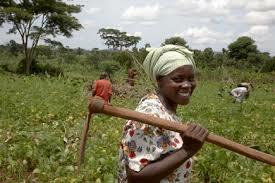 On this land, which is five acres, I started planting maize and cabbage and also received money. Then this year I partitioned it into pieces, setting up gardens where people go to enjoy life, have fun, and so on, i.e. a recreational centre. 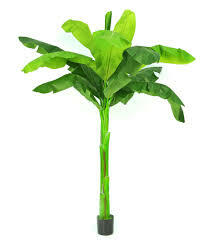 It will basically be grass-hut houses with flowers and fruits like pineapples, pawpaws, oranges and mangoes. This land is located in a village where people are really lacking health services - to the extent that for them to access such services they have to travel long distances. I therefore decided to establish a health unit. Right now I have bought bricks and sand until when I will slowly finish buying all the required materials for the building. I have no financial support from anywhere. Am sorry for delaying my reply you. It's just that there is no electricity so I cannot access the internet. Tamsy Baker from Guildford has been supporting Sarah Nakintu for the last ten years. 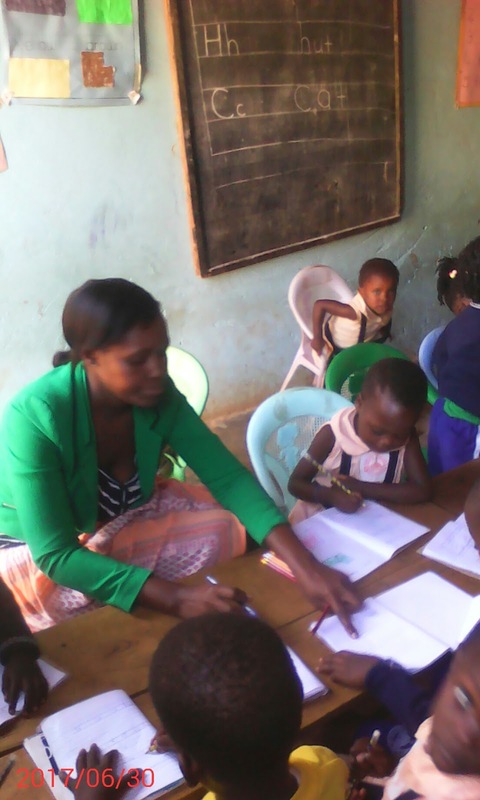 After her six-week leadership course in Canada, in January Sarah was offered the position of Lead Facilitator for World Vision's Child Sacrifice Programme starting in September. Two months later, World Vision said she had to be able to drive and have her own car. Child Sacrifice is rooted in the belief that blood sacrifice can bring fortune, wealth and happiness. 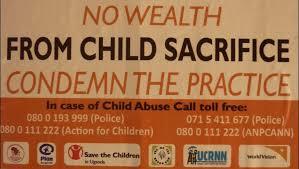 Children are either abducted from, or in some cases actually given to, witch doctors by relatives out of desperation for money. Sarah's programme reduced child sacrifice in the 40 communities in Mukono to almost non-existence. 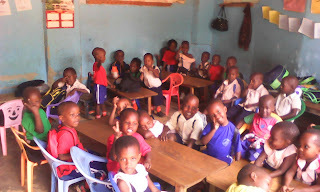 Bridget's new school in Kampala has lots of children! 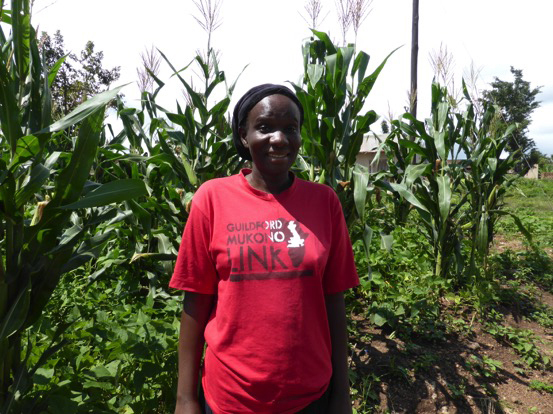 Bridget is one of the students sponsored by a member of the Guildford Mukono Link. Several years after graduation she has now opened her own nursery school in the house of her sister in Kampala. 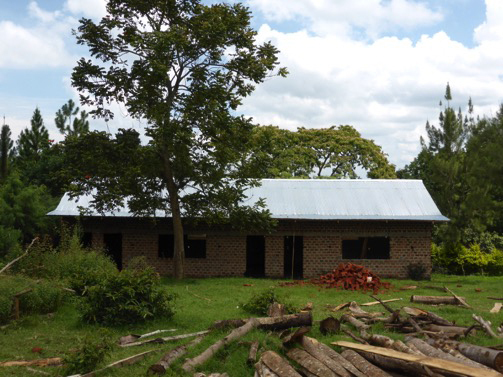 Bridget managed to build a roof, doors and windows for the school. The school has grown and now has three or four classrooms. Many schools in Uganda are private schools as the government has failed to keep up with the increasing population and the gap is filled by the private sector. 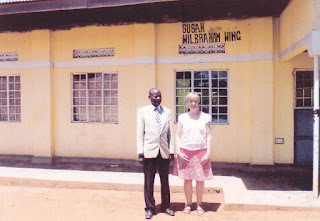 Bridget has been extremely enterprising to get her school to grow as it has. 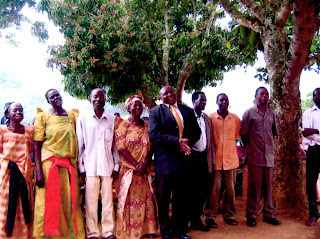 The school now has 87 children, with two teachers. Bridget reports that the children are really very happy: "We shall go for a tour in August and see animals and birds," she says.